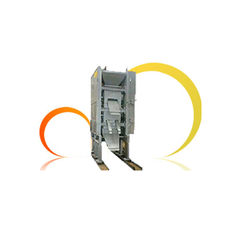 Leading Manufacturer of high intensity induced 3 roll magnetic separator from Ahmedabad. Our organization is counted amongst the most distinguished manufacturers and suppliers of superior quality High Intensity Induced 3 Roll Magnetic Separator. Manufactured in strict compliance with international quality standards, these products are available in various models and designs at market leading prices. Our offered products also properly checked by experts on various parameters to ensure flawlessness. Looking for High Intensity Induced 3 Roll Magnetics Separator ?